Bookmakers reckon the UK will vote to stay in Europe, but polls suggest the “Out” campaign is ahead and gaining ground. While an outsized share of betting is in London and the Southeast, where support for the EU is highest, the betting odds are probably closer to the mark. 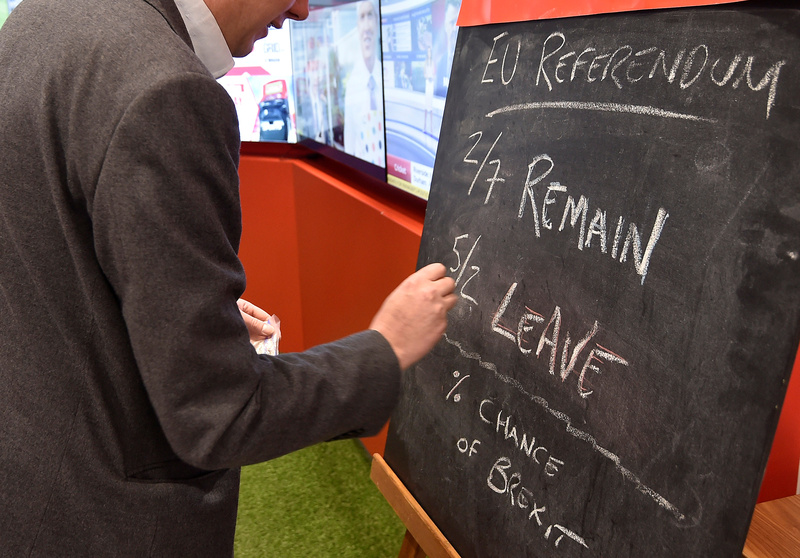 Bookmakers on June 14 shortened the odds on the UK electorate voting to leave the European Union after a shift in the polls and a big increase in bets on an exit. Betfair said the “In” vote now only had a 60 percent chance of succeeding, or odds of 4/6, down from a 78 percent chance and odds of 1/3 last week. It said that Brexit had attracted 48 percent of bets in the past 24 hours, up from an average of 23 percent previously. Britain’s “Out” campaign has widened its lead over the “In” camp ahead of the country’s June 23 referendum on its membership of the European Union, two opinion polls published by ICM showed on June 13. According to the two ICM polls, one online and one conducted by telephone, “Out” held 53 percent support compared with 47 percent support for “In,” the Guardian newspaper, which sponsored the telephone poll said. That compared with a 52-48 percent split in favour of “Out” in ICM polls two weeks ago, the Guardian said. Those polls excluded respondents who answered “don’t know”.